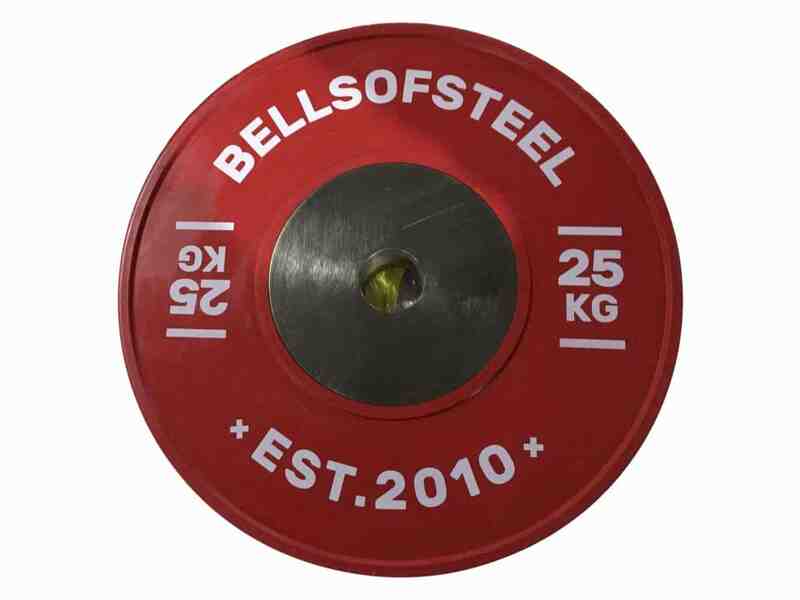 Awesome Competition Bumper Plates at a bargain. Competition bumper plates don’t just look amazing, they also out perform solid black bumpers in several ways. Bumper Plates - Colour Competition Set -140KG - By B.o.S. Hey Kevin! Thanks for leaving a review. The competition bumpers are actually quite different from our regular dead bounce bumpers in a few ways. 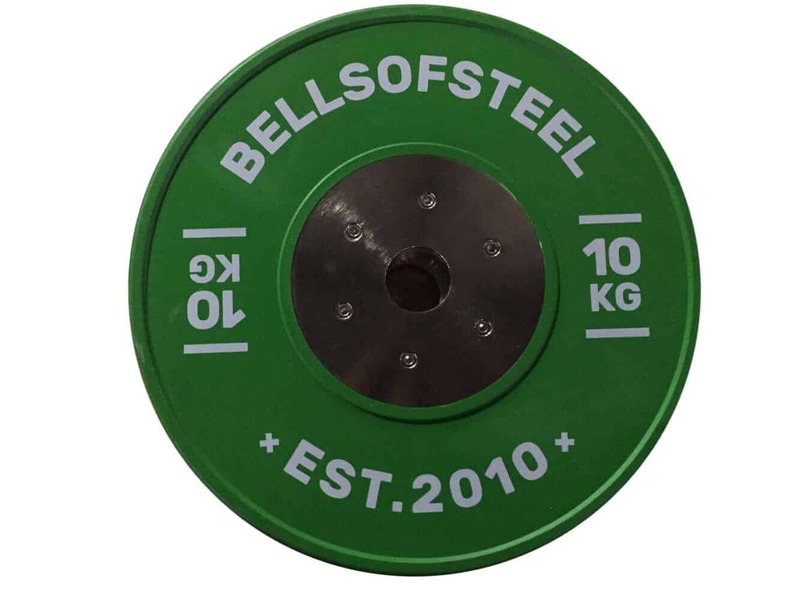 The steel insert won't break or spin away from the rubber, the bounce is very minimal leading to less damage to your bar and plates and they have raised flanges to prevent the metal-on-metal contact. Thanks again for the review and happy lifting! Easy. Great delivery. Great product. Thanks Lisa, awesome to hear! Surprised by the quality considering they are a bargain compared to other brands. Feels solid, fits perfectly, and very minimal bounce. They actually outperform an old set of Werksan competition plates we have! 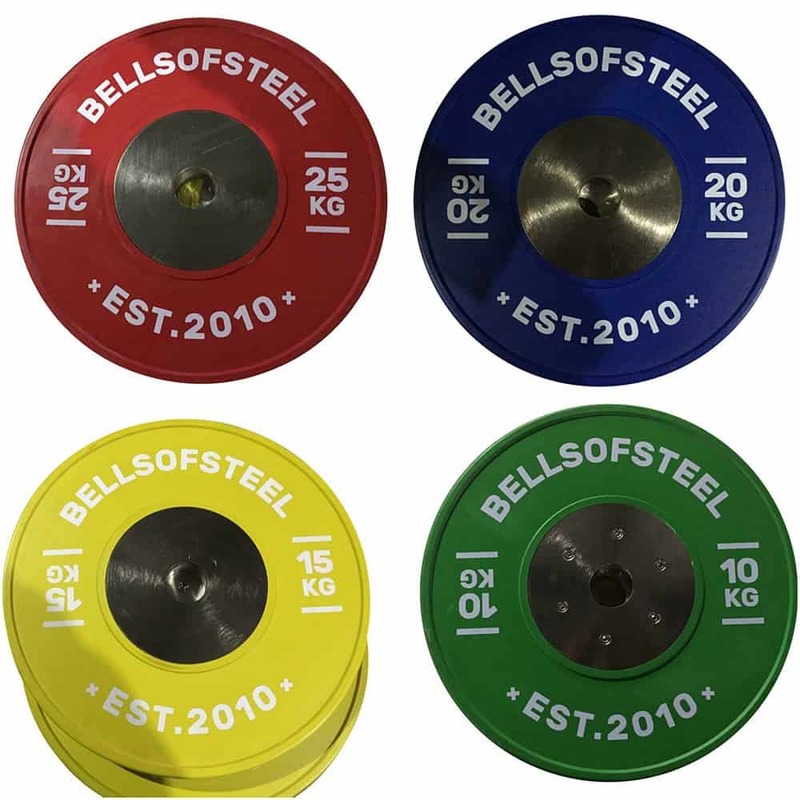 Colour Competition Bumper Plates Set -140KG - By B.o.S. Thank you for the review Victor! The comp plates are exceptional quality for a great price! The harder the material gets, the less bounce it will have. Minimal bounce is ideal as it prevents excess damage to the bar and minimal shock to the plates, potential safety problems from over bounce and makes for a faster transition between reps.
A raised rubber surface can be seen around the metal core. This is to prevent direct metal-on-metal contact between the centre discs. This reduces scuffing and helps to preserve the plates’ finish. Coloured bumpers are not just aesthetically pleasing, they offer additional functionality. It can often be frustrating trying to quickly and easily identify the plates you need for your workout. Four-piece assembly with a co-molded steel collar won’t spin or break from the rubber and uses an innovative method to securely lock the bolts in place, safeguarding against their loosening over time. Only sold as a set, set includes: 2 x 10KG, 2 x 15KG, 2 x 20KG, 2 x 25KG.